On February 3, 1959, a plane crashed shortly after taking off from Clear Lake, Iowa, killing all four people aboard: pilot Roger Peterson and musicians Buddy Holly, Richie Valens, and J.P. "The Big Bopper" Richardson. The date became known as The Day the Music Died. Charles Hardin Holley was born in Lubbock, Texas in 1936. He was only five years old when he earned his first money for singing, $5 at a local talent show. He formed a band in high school that performed on local radio and the country music circuit. They recorded several country songs for Decca in Nashville, but failed to find success. Holly (he dropped the "e" when his name was misspelled on the record contract) returned to Lubbock and played various venues, including opening for Bill Haley and the Comets and Elvis Presley. Elvis suggested Holly forget country music and start playing rock-and-roll. Holly's band, now known as The Crickets, recorded "That'll Be the Day" as a demo, which got them a contract with Coral/Brunswick records. A string of hit followed in 1957 and '58, including "Peggy Sue" and "Oh Boy". Holly wrote the songs, but had to share credit on some with producer Norman Petty. Holly split from Petty and The Crickets in October of 1958. Legal hassles following the breakup led to money problems, which led to Holly signing onto a winter tour in late 1958. By then he had married Maria Elena Santiago, a girl he proposed to on their first date. Holly's life story was detailed in the 1978 movie The Buddy Holly Story. Holly was 22 years old when he died. Richie Valens was only 17 years old when he died. Born Richard Steven Valenzuela in southern California, he learned to play guitar at age eleven. Valens was influenced by Mexican folk songs, country music on the radio, and singing cowboy movies. He played for school assemblies and parties in high school. Valens joined a band called The Silhouettes and had locally steady work. A talent agent spotted him and brought him into Keen Records for an audition. The instrumental he played for that audition evolved into his first hit, "Come On Let's Go". It sold half a million copies in 1958. Valens' followup single was "Donna", a song written for his girlfriend, with a Mexican folk song called "La Bamba" on the flip side. Both songs were riding high on the charts when Valens signed on for a tour with Buddy Holly and two other acts. Valens life was the subject of the 1987 movie La Bamba. Jiles Perry Richardson recorded and toured under the name The Big Bopper. He was the oldest of the plane crash victims at 28. Richardson grew up in Texas where he was active in school music programs. He studied pre-law in college, then dropped out to work full-time as a radio disc jockey. He once stayed on the air for five straight days, breaking the record for continuous broadcasting. Richardson also served a stint in the army, married, and fathered a daughter. He took the name The Big Bopper for a radio show. According to some sources, The Big Bopper was the first person to use the phrase "music video". He was in the process of promoting a video business when he died. Meanwhile, Richardson was busy writing songs. He wrote 'White Lighting", a hit for George Jones, and "Running Bear", recorded by Johnny Preston. The Big Bopper recorded "Chantilly Lace" in 1958, which went to #6 nationally. 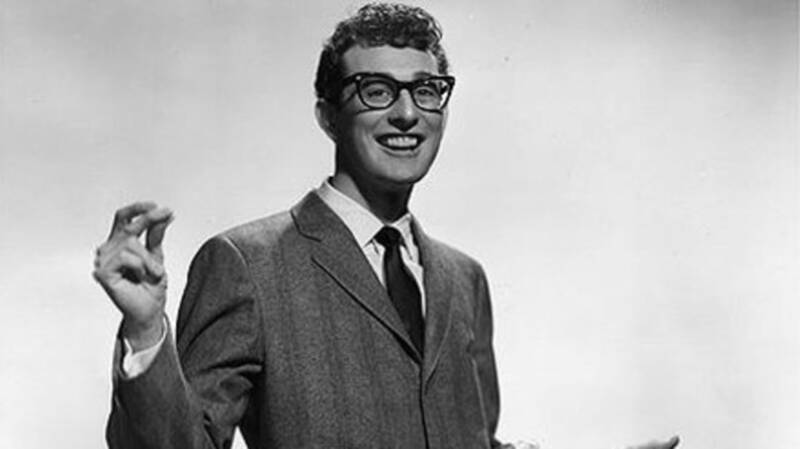 The success of "Chantilly Lace" led to a slot on a winter tour with Buddy Holly. Valens, Richardon, and Holly were on tour with a show called "The Winter Dance Party Tour" with Dion and the Belmonts. The tour bus was so cold and miserable that one band member reportedly developed frostbite. Buddy Holly had had enough, and decided to charter a plane in Clear Lake to fly to Fargo, North Dakota for the next gig. Dwyer Flying Service was hired for $36 a seat, and the plane was ready to leave after the show at the Surf Ballroom. Waylon Jennings, a backup singer for the show, relinquished his seat on the plane to Richardson because he was running a fever. Another backup singer, Tommy Allsup, lost his chance to fly in a coin flip with Valens. When Holly learned that Jennings wasn't going to fly, he said, "Well, I hope your old bus freezes up." Jennings responded, "Well, I hope your plane crashes." This friendly banter of friends would haunt Jennings for years. The pilot, 21-year-old Roger Peterson, was not qualified to fly on instruments alone. The weather had been clear earlier, but a storm warning had been issued. Neither Peterson nor Dwyer Flying Service was aware of the weather alert. A blinding snowstorm enveloped the plane soon after takeoff, and it spun into the ground. Jerry Dwyer, owner of the plane was concerned that it hadn't landed in Fargo by morning. After the fog cleared, he searched by plane and found the crash about a quarter of a mile from the nearest road. You can see photos of the crash aftermath, but be warned there are bodies visible. All three musicians were thrown from the plane. The plane had to be cut to extract the pilot. Holly and Richardson both left pregnant wives behind. Maria Holly had a miscarriage shortly afterward. Born three months after the plane crash, J.P. Richardson Jr. performs under the name The Big Bopper Jr. He plays the role of his father in a tribute show called The Dance Party Tour. Buddy Holly and the Crickets inspired the names of both bands The Beatles and The Hollies. The 1971 song American Pie by Don McLean was written about the events of February 3rd, 1959. Candace Rich provides us with an explanation of the lyrics. The town of Clear Lake expects crowds of thousands to commemorate the anniversary of the first rock-and-roll plane crash. The community held concerts and a symposium with some of the victim's family members over the past few days. The Rock and Roll Hall of Fame designated the Surf Ballroom as one of its national landmarks. Holly, Valens, and Richardson had extremely short musical careers by today's standards, but their music and influences live on.